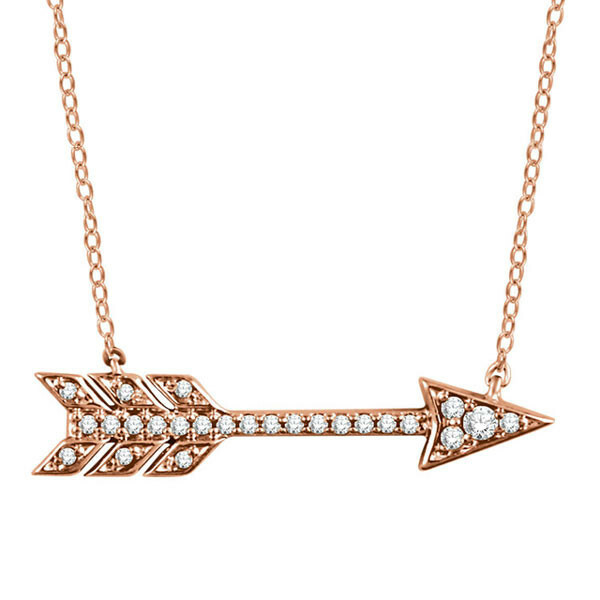 This necklace takes aim at at one of today's top trends! Crafted in rose gold with an arrow motif, the precious metal and diamond piece measures a universally flattering 18". Show off this necklace with virtually any style of neckline that you choose.